This map shows it all. 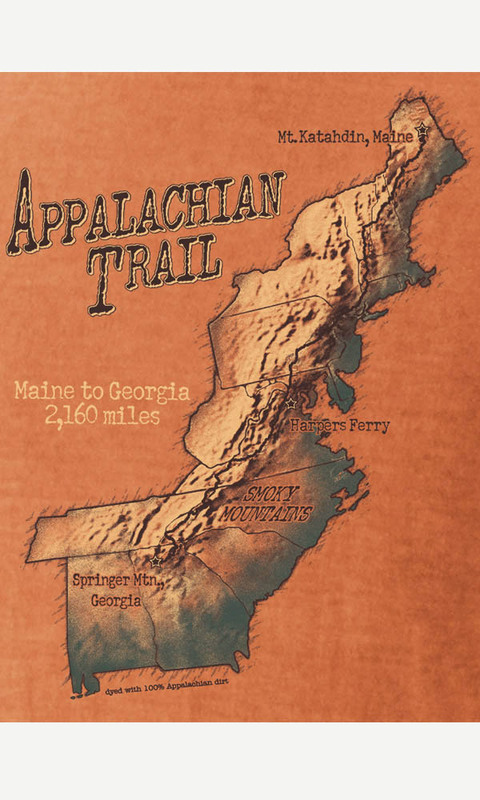 The Appalachian Trail is one of the longest footpaths in the world, passing through 14 states all the way from Springer Mountain, Georgia to Katahdin, Maine. 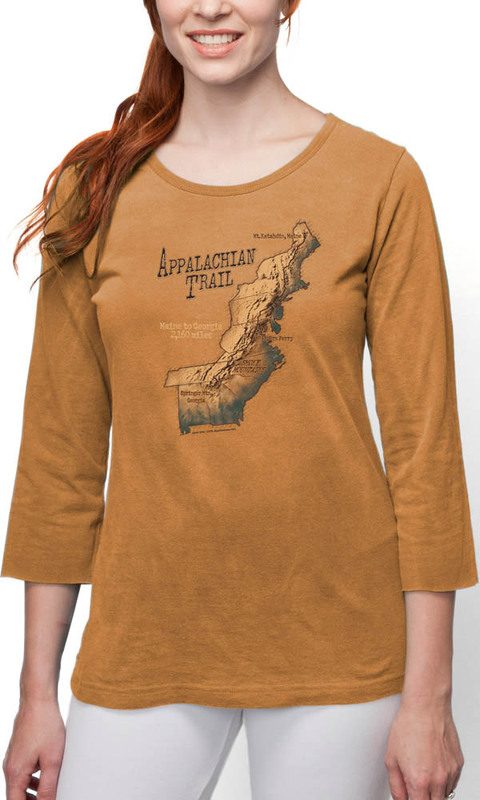 Printed using eco-friendly non PVC inks on our 3/4th Sleeve Women’s Tee.